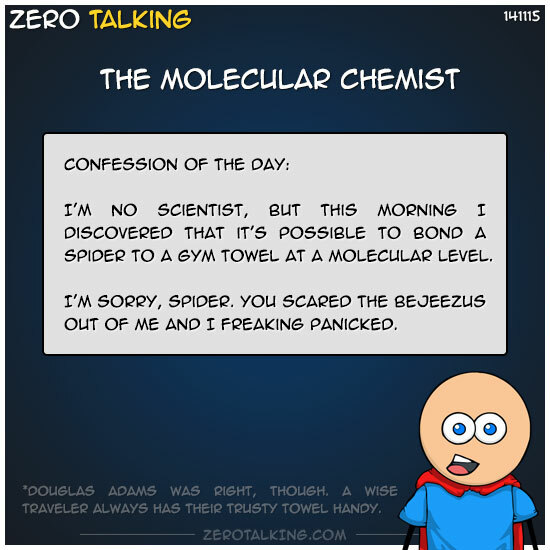 I’m no scientist, but this morning I discovered that it’s possible to bond a spider to a gym towel at a molecular level. I’m sorry, spider. You scared the bejeezus out of me and I freaking panicked. *Douglas Adams was right, though. A wise traveler always has their trusty towel handy.